ABEE, Canada, (EH anomalous impact melt breccia) Fell: June 9th, 1952 and found five days later. The Abee Meteorite is one of the strangest meteorites known. Enigmatic, it is the subject of intense study. Unlike most meteorites, Abee is host to very odd minerals where oxygen is lacking and sulfur fills its place. Freshly cut pieces of this meteorite have a distinct gunpowder odor which is due to the high sulfur content. Also, what is visually striking is its odd brecciated internal structure where the clasts are rimmed with a metal rind. 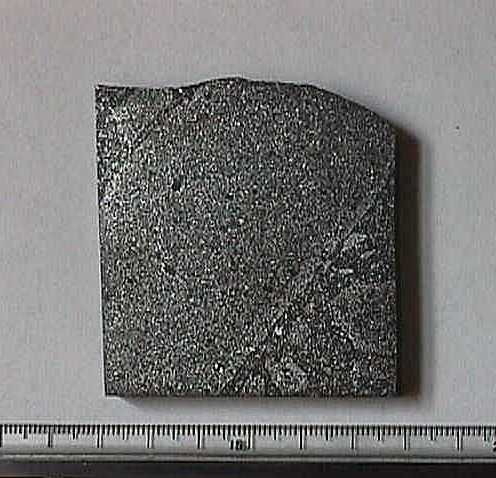 No other meteorite has this structure, and it is unique. Theories as to how and where the Abee Meteorite originated abound, but one of the most interesting is that it may have formed in the vicinity of Mercury, and may even have clasts ejected from that planet in the violent impacts that created it. Yet to be explained is how it assumed an orbit that intersected with that of the Earth. The mechanics of how this occurred is not known, but the minerals and chemistry of this rock are what researchers would expect to find on Mercury. 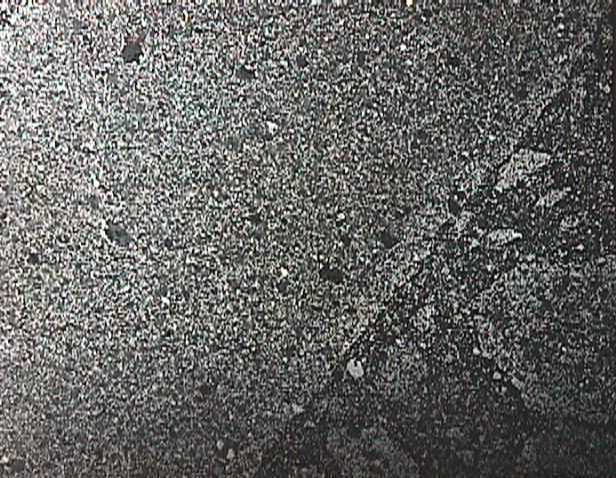 Enlargement of the brecciated structure in the Abee Meteorite. Scattered throughout this matrix are microscopic diamonds.